Kelly and his family originally came to the Tahoe area in 1980. Since then, he graduated from North Lake High School and went on to achieve a Degree in Finance from the University of New Orleans. 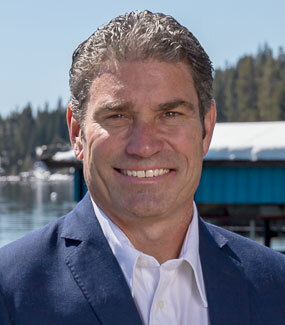 He has been back in the Tahoe Area conducting business in real estate for the past 16 years. Kelly continues his education through ongoing real estate coursework as well as, attending Strategic Coach professional training seminars multiple times a year. Living with his wife and family in Truckee, Kelly enjoys sports, the outdoors, hunting and fishing. Over 16 years in real estate sales on the North shore and West shore of Lake Tahoe. Top Producer for Century 21, Tahoe North Realtors 1992,1994, and 1996-2007. Averages a property sale every other week. Tied for the most listings sold in the entire MLS in 1995. Contact Kelly Smith for North Tahoe Properties, Truckee Real Estate, Tahoe Donner Real Estate, Lake Tahoe Real Estate and all Surrounding Areas.